Witchcraft Today–60 Years On is an anthology of written work gathered from various expert sources. Pagans, Wiccans, Fae, Druids, male and female all contribute information regarding their path, beliefs, and journeys. The reader is given a nicely rounded-out account of how witchcraft has developed in the 60 years since Gerald Gardner’s seminal work. The first chapter gives us a succinct look into Gardner’s Witchcraft Today (1954)and its development. Following are chapters on Alexandrian Witchcraft, Seax, Eclectic, Dianic, Hedge, and Egyptian traditions. There’s even a chapter on the future of Witchcraft as an ever-growing entity. What may sound like a boring subject is made fascinating by the personal, heartfelt accounts of each of the contributors. Their devotion is inspiring, and their knowledge and intelligence captivating! The final part of the book is devoted to personal accounts of various adherents who were forced to take a circuitous path to their calling in the Craft. The stories of those who began in controlling Christian religions resonated with me the most. As a child, I remember feeling intrigued by talk of Witchcraft and the occult, even though I was taught to fear it. I was fascinated to learn of others who felt the same pull between 10-14 years of age, but were more courageous than I. Some of them followed their heart at an early age–I waited another 20+ years before I had the courage to do so. Recently, I have allowed my Craft to wane since I moved across country and most of my supplies are still in storage. Reading this book has fired my enthusiasm to get back to something that brought me so much comfort and empowerment as I recovered from my Patriarchal roots. The chapter on Hekatean Witchcraft showed me where my next path lay. When I first started studying Witchcraft in 2011, I was drawn to Hecate. I was born in the dark of the moon and it is my favorite time of the month. Samhain is my favorite holiday and Autumn my favorite season. I am fascinated with the world of the dead and beyond. I was informed only older women can be devotees of Hecate, so I chose someone else, but it never felt right. Now I realize I can embrace the patron who feels right to me and I am excited to do so! This book is for anyone who is curious about Witchcraft and its various paths. It is faith inspiring to read of how others live in accord with the earth and its spirit. And it can fire up anyone whose interest has waned or wandered. 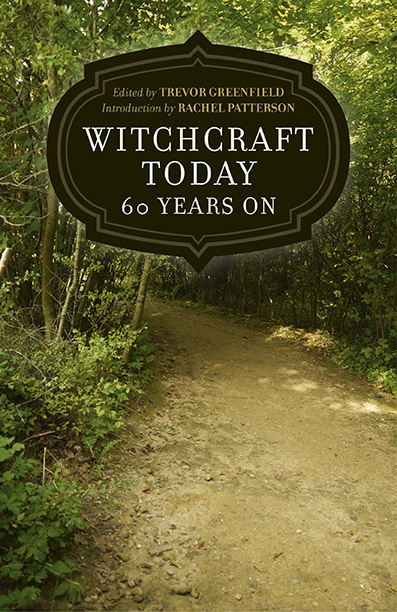 Witchcraft Today–60 Years On is available as an e-book or paperback for a very affordable price. (In fact, it is the first e-book I have read entirely on my Nook, something I have been viciously opposed to till now.) It is brand new from Moon Books and edited by Trevor Greenfield. You can find it through the publisher’s website or Amazon.